Future Careers? It’s about making the local go National. Last Saturday, YES, Saturday, we went to Energus in Cumbria’s Energy Coast to deliver the Development Day for the 60 Year 12 and 13 students from Cumbrian schools and colleges who have been chosen from over 250 who applied for the fifth annual Dream Placement. #DreamPlacement was created by the wonderful team at the Centre for Leadership Performance (CforLP) to stop the ‘brain drain’ that they were hearing about from Cumbrian businesses who used to regularly have to hire people from outside the County whilst plenty of untapped talent remained within the region. As a young person growing up in a beautiful but remote rural county like Cumbria, it could be supposed that there ‘aren’t any jobs for me here’ (unless you want to work in agriculture or at Sellafield) so many of the brightest and ambitious teenagers would leave and go to University elsewhere across the UK and 8 times out of 10 not return. Well, not return until they’d had a good 15 years working outside the region, building skills and profits in businesses in the rest of the UK’s cities, returning give their young families a lovely life as they grow up). Rather than keep bemoaning this state of affairs, the CforLP worked with us and the employers in the County to come up with a Placement Scheme with a difference, one that had a major impact on the young people involved and one which supported the development of the staff at the business…as you can see from the picture connected to this blog! The Dream Placement is substantial – it includes application forms, selection days, speed interviews and hands-on activities to showcase the young talent available in Year 12 and 13s. Once selected in December, the students are invited back in January with their placement supervisors from the company to do some weird and wonderful preparation activities as part of the Development Day. As well as getting to know the whole cohort and undertaking some leadership challenges, students get to reflect on what the placement means to them, decide on some goals and write a Charter for behaviour and expectations to get the maximum possible out of the week-long experience in February half-term. The employers were able to get to know the skills and interests of their applicants which will help them to design the placement activities – Board Meetings, CEO sessions, On-site and in-meeting days as well as activities that are privileged and unique to see the inner-workings of the Leaders in the organisations. The process culminates in a Celebration Event with presentations and certificates with all present (including parents and siblings). Actually, the #DreamPlacement is often just the start of the journey into leadership and careers for the young people involved…many secure Apprenticeships and a job straight out of their A Levels as a DIRECT result of the scheme. Others develop new interests and passions which can be explored at University or as part of further placements and part-time work and many use the experiences as a way of improving their application, interview and motivation skills which they will take into their futures in many many ways. The scheme is a DIRECT response to a local need. A third-party was involved in pulling the strands together. A professional designer was used to develop the content and process for the scheme. Employers bought-in (not only in time, they also FUND the scheme now). There are benefits for everyone involved in the longer term as businesses get to know more about their local schools, young peoples’ skills and desires and the company becomes better known. A genuine desire for young people to be supported in their development – whether for a specific job, career or company or not. A tangible local need that can be supported by a Nationwide network. Some funding to support a scheme start-up but with a view that to really progress, projects need to be released form the ‘passive victimhood’ of external funding. Reduced or absent politics across different areas of profession, council and agency to focus on supporting all groups’ outcomes rather than cherry-picking box-ticks for one organisation rather than another. Learning Point 1 – Any Nationally-funded or coordinated programme needs a LOCAL flavor that isn’t the same-old people doing the same old things with the same old politics and silo-mindset. Local agencies need to be able to access support that is designed for them but funded well across the UK – cold spots everywhere need different methods of warming them up. Learning Point 2 – Change is needed and that starts with the agents of change – who actually need to change the way they work and respond to young peoples’ needs for vision and hope as well as different support. Change agents need to OWN their local communities’ needs and act accordingly to work with others and deliver something new and effective. Learning Point 3 – Brexit is going to have a MASSIVE impact on today’s young people and they will not quickly forget what opportunities are likely to have been denied them over political posturing. The Tory Party is tearing itself apart for no good reason and young people are watching. I predict we will see a very well-motivated and politically-aware generation coming through who will demand more from politicians who are making these promises built on thin air. Young People are becoming more engaged in politics as a Guardian ICM Poll finds that 17% more young people would vote Remain if asked again and 43% of people fear Brexit is having a negative effect on the UK Economy. Learning Point 4 – committed groups of people with the right reasons at heart are crucial to the development of any support system for young people. National Careers Week is our ‘from-the-ground-up’ movement of educators, businesses and organisations who come together annually to promote careers for young people with resources and events that are free for everyone. @CareersWeek was born as a reaction to the silo-mentality, funding rollercoaster that careers education has been in the UK and 7 years on, it is growing from strength to strength across the UK with sponsors from all areas of business and community. If you’re interested in finding out how we can support any ideas you have for working with young people please let us know and we’ll have a chat about what you’re planning. 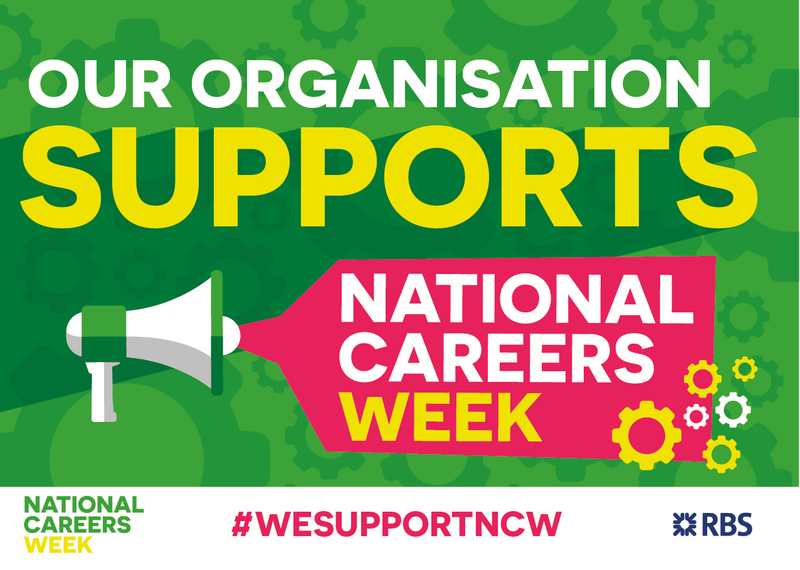 We’re delighted that the #NCW2018 launch is being held in the House of Commons on 5th March – please have a look at the website www.nationalcareersweek.com for information and resources as well as ideas and fun stuff. Let’s learn from one of the most remote regions of the UK just what can be done when people work together to support our young people into the future as well as doing a bit of future-proofing for UKplc into the bargain!